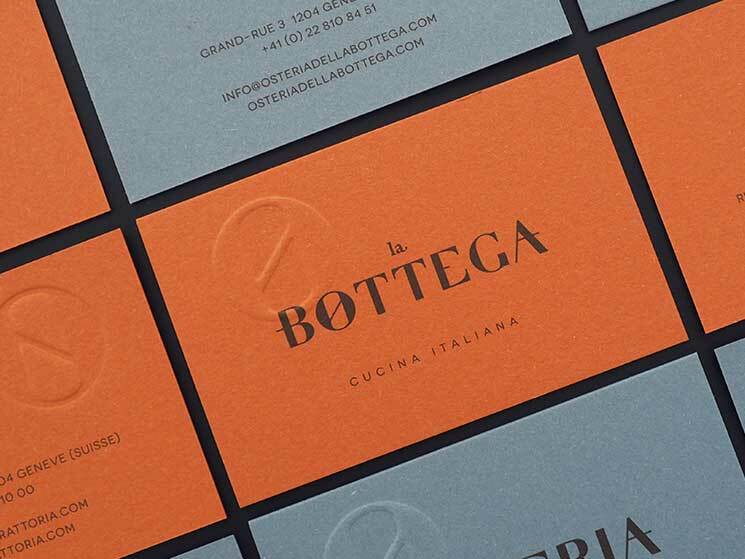 Kidstudio designed these business cards for Ristorante La Bottega, a Michelin-starred Italian restaurant in Geneva, Switzerland owned by Chef Francesco Gasbarro. “Being Italian in a place crowded with spaghetti-moustached chefs painted on the windows is just a matter of style.  Nothing is cried aloud – because of the luxury experience it involves – but it is instead stated by nuances and whispers in a clean, minimal design,” said Walter Bolognino, the Graphic Designer of Kidstudio. 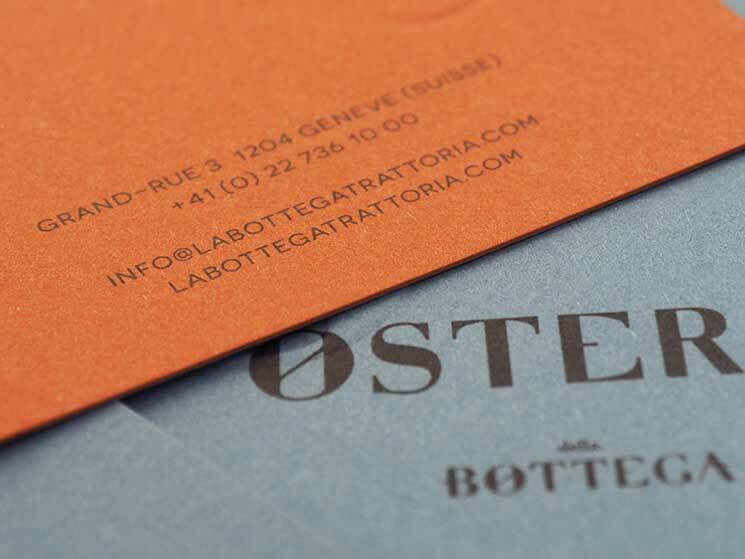 To express originality and the unique quality of the restaurant, the designing team at Kidstudio used a formal Bodonian custom typeface for the logo. 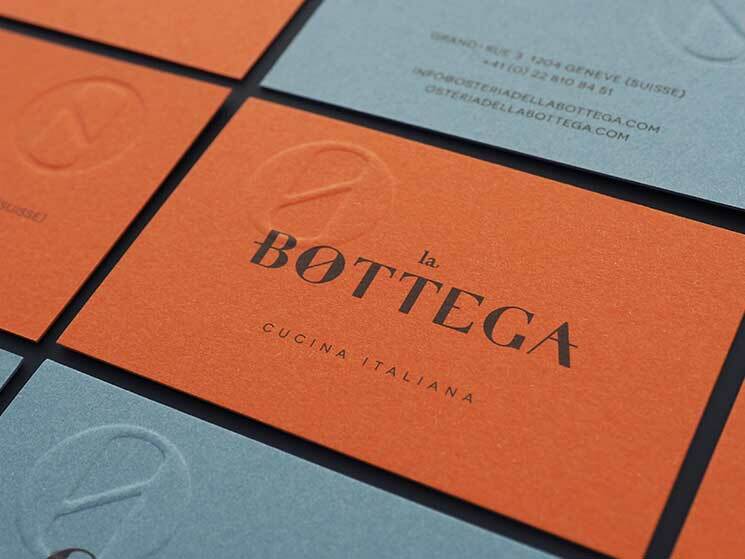 These business cards were printed by Tipografia Arte e Stampa Montecatini in Montecatini Terme, Italy. 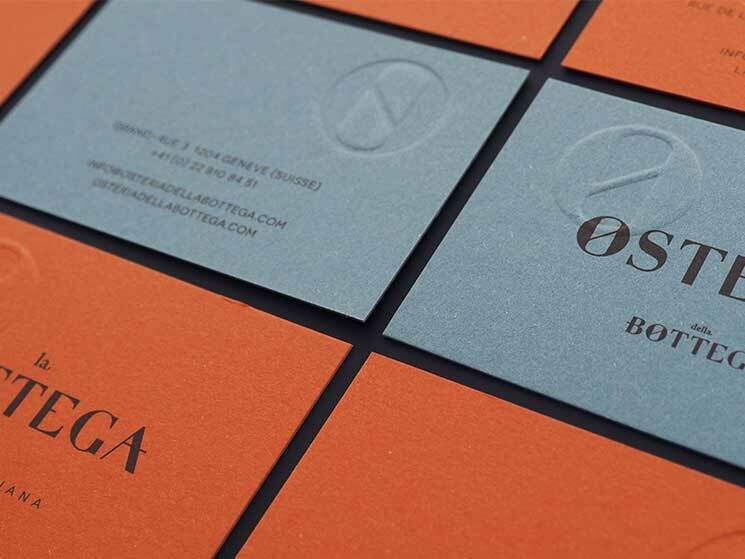 “The cards are printed on the rough, premium quality paper Fedrigoni Materica (Terrarossa and Acqua color variations). 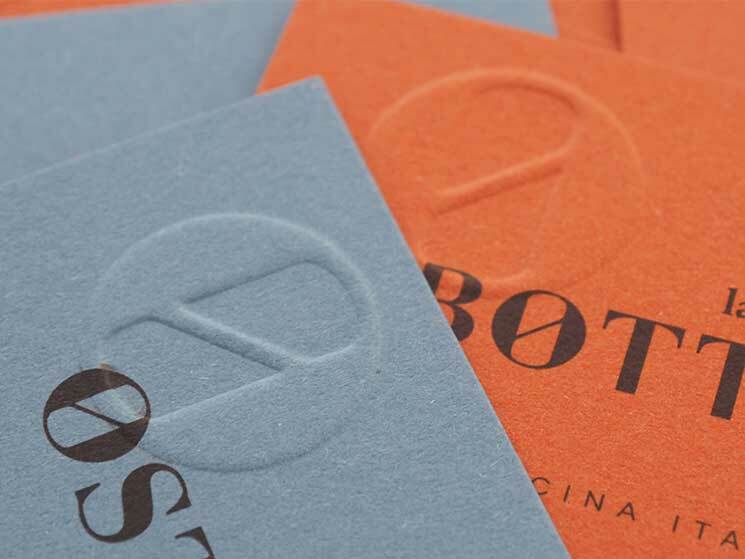 They feature a single Pantone offset print, plus an emboss with the logo’s monogram. 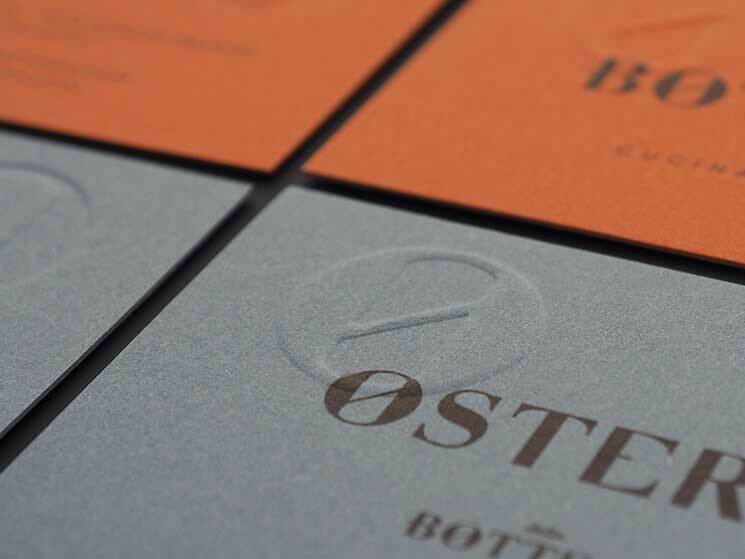 The emboss is off-set (in position) on the top left of the business cards, to both convey the sense of a quality stamp and to disorientate (and amaze) the users,” Walter said.